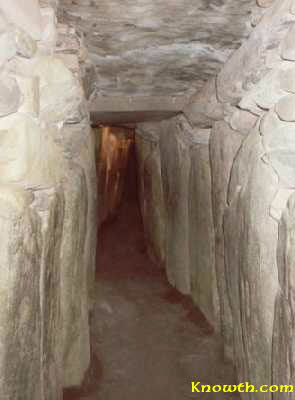 The chamber and passage at New Grange seen from the end recess. 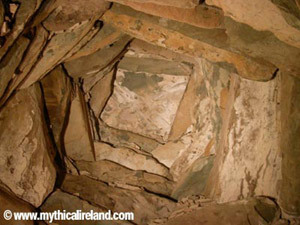 New Grange passage looking towards the chamber and the east recess to the right of the chamber. 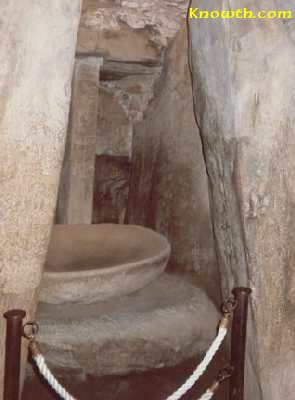 Photographs by Paul Brooker. 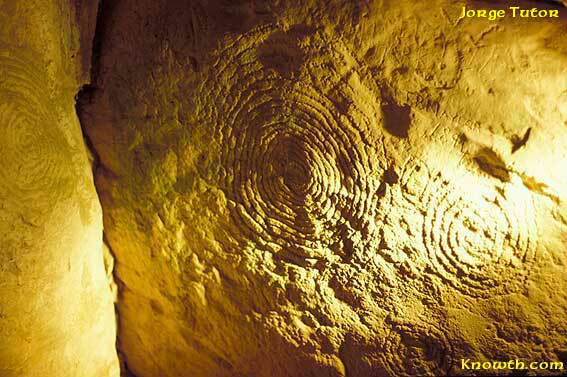 Corbelled roof over the chamber at New Grange and the world famous triple-spiral. 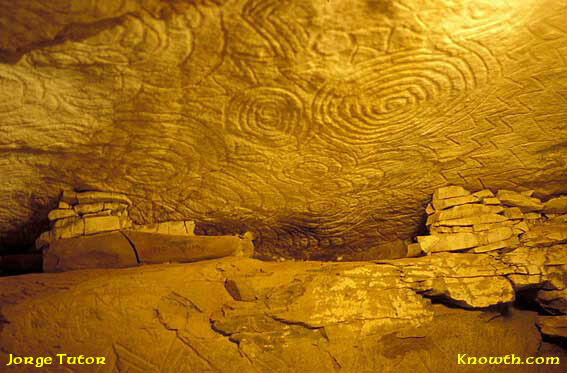 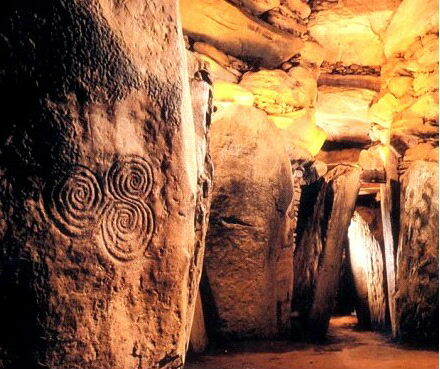 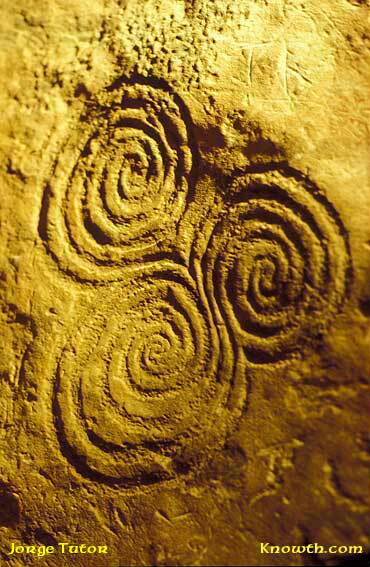 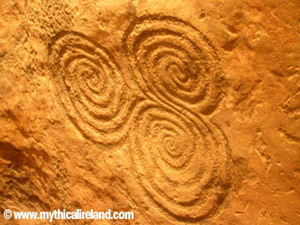 The tri-spiral design on orthostat C10 in the back recess of the chamber at New Grange is probably the most famous Irish Megalithic symbol.